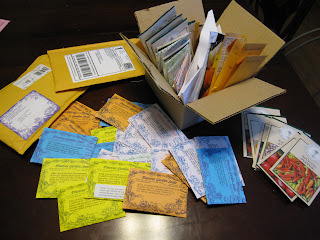 Just SOME of the seeds I've ordered so far this year. I'm carefully NOT thinking about how on earth I'm going to have room for them all. Note to self: You do not have to plant the whole packet. LOL! I have to tell myself this every January.